Sorry guys, I found this picture and I had to use it! Jon gives Deanna and Haily a ride to the curb to be picked up with the rest of the trash. 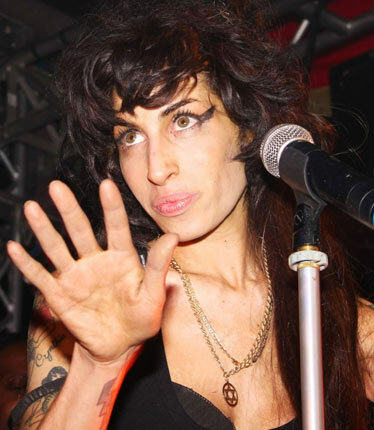 A London judge granted the divorce between the Scamy Amy Winehouse and Blake Fielder-Civil — it becomes final in just over six weeks if no disputes arise. Blake — who spent most of the marriage getting it in his behind bars — filed the divorce papers earlier this year after Wino admitted to cheating. I hear Tony Romo is single……………………..
Don’t ya just hate getting your drivers license renewed? You have to go stand in line–for what seems like hours and wait for people who apparently hate their jobs to shuffle around and finally take your picture… Well, not if your Paris Hilton! WTF! Everytime I turn around there is another picture of Jon Gosselin showing of his Kegger belly! This is really gross… But it is getting him some attention! I know there is a joke about Dickie Doo Disease in there somewhere! You know, does your belly stick out farther than your dickie doo? Augh…. And the saga continues… It has just been reported that One of the Octomom’s brude has been rushed to the hospital. A two-year-old male was vomiting after ingesting an unknown substance. He was transported to St. Jude Hospital. Just as most of the world predicted, it is impossable for one person to care for or to monitor the activities of so many children. Will it take a death before someone steps in to do something about the welfare of the children?